I have received numerous frantic emails from authors whose books have suddenly become unavailable or “out of print.” Most of these authors paid thousands of dollars to get published, and now find themselves with nothing to show (or sell!) for their investment. And, many of them do not have their production files and, thus, can’t easily get their book(s) back into print, and on the market. In the publishing industry, production files are the electronic files a printer uses to produce/print a book’s physical cover and interior. The cover is one high-resolution file and the interior is another high-resolution file. Often, these files are created after the publisher has performed editing and formatting/design work on the book. Many publishers hold these files hostage, not sending the actual high-resolution (300 dpi) files to the author when they are created. This, of course, makes it impossible for the author to send those files to a new publisher if the author is not happy with the old one or if, Heaven forbid, the publisher suddenly goes out of business. Most publishers even charge authors extra for these files, often hundreds of dollars or more. We call this a “forced marriage” because the publishers know they’re essentially forcing an author to stay with them, even if the author is unhappy. At BookLocker.com, authors always own their production files. They cost nothing extra, of course! After Tate Publishing went belly-up this year, they offered to sell their authors’ production files to them for $50 + a signed contract from the author stating that they won’t sue Tate, their owners, or heirs, that Tate doesn’t owe them any money, etc. (Remember, Tate still owes royalties to their authors!) Here at WritersWeekly, we were calling that “the extortion contract” weeks before the owners were arrested for (alleged) extortion, and other crimes. Some Tate authors paid the $50, signed that ridiculous contract, and were able to get their files. Some Tate authors sent certified letters (with no money or contract), demanding their files. And, some of those authors actually received their files. Unfortunately, other authors have reported receiving nothing at all. Some authors are also reporting that they’re not receiving responses from Tate, which isn’t surprising as I imagine their too busy trying to figure out how to avoid long prison sentences. Authors of other defunct publishers have found themselves in this type of bind as well. If your publisher edited your book, and you no longer have a current electronic file of your edited manuscript, but you DO have a copy of the printed book, I recommend hiring a college student to type your manuscript into a word processing program so it can be easily edited, formatted, etc. to any publisher’s or printer’s specs in the future. Also, you will be able to make changes or additions to your book whenever you want. You should ALWAYS keep one master word processing file of your current manuscript. At BookLocker.com, authors own their own word processing files as well, even after they’ve been formatted for print! Scanning printed pages of books creates HUGE files (each page will be a graphic) and, while there is software that can convert the words in those graphics into a word processing document, they always create numerous errors so the book will need to be edited and formatted all over again anyway. The easiest solution is to simply have the manuscript typed into a word processing program. Janice Lullo, owner of J.L. Typing Services, offers typing services to authors. If anyone reading this also offers typing services, let me know and I’ll add you to this article, as well as to a list we’re creating for authors who have found themselves in a bind. It’s likely that your current or past publisher has claimed all rights to the cover they designed for you, even if the cover concept was your idea. In these cases, you can offer to buy all rights to the cover, or you can have a new cover designed. I recommend having a new cover designed, and adding “Second Edition” to the cover so readers will know which book is the most recent. You should also add “second edition” to the title page of the interior as well for people who will be viewing excerpts of your book in the future. If you don’t have a copy of your high-resolution cover, or can’t get the rights to it, you’ll need to bite the bullet and have another cover designed. At BookLocker.com, original cover design is only $250 and it’s included in the Disgruntled Author Program! (See that price below.) You can see samples of BookLocker’s covers HERE. Click on each one to see the entire cover (front, back, and spine). Also, see the covers at the top of THIS PAGE. While it may be tempting to use your publisher’s files (that you may have on hand) without permission, remember that some defunct publishers may be desperate enough for cash to file copyright infringement lawsuits against authors. Avoid the stress associated with worrying about that, and the financial pitfalls if you are sued, by creating your own brand new files using the options above. If you want to move forward with the DIY program, you can sign up RIGHT HERE. NOTE: BookLocker DOES have a color-interior program but it’s more expensive. You can read more about it HERE. The DIY and Disgruntled Author Program prices include the assignment of a BookLocker.com ISBN, a barcode (which we wil attach to your cover), full distribution, listings on Amazon.com, BarnesandNoble.com, and numerous other sites across the globe, availability in the brick and mortar bookstore databases, distribution by Ingram, the largest book distributor, and more. If you’re ready to get your book back on the market, and fast, you can sign up for the Disgruntled Author Program RIGHT HERE. THE FINE PRINT: These prices above are for black-and-white-interior books. If your book is an odd size, it may not qualify for the DIY program. Authors must show that the book was previously published in order to qualify for the Disgruntled Author Program. 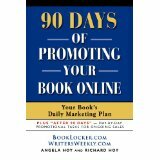 Authors of new books can view BookLocker’s regular (but also low-priced!) programs HERE. BookLocker usually gets a book to market within a month but there’s an expedited option available as well (2 weeks) for an additional fee. If you have questions, contact Angela RIGHT HERE. You can read more about BookLocker HERE. But, remember, the prices on the site are for brand new books. If you are moving your book from another publisher, use the link above to get the Disgruntled Author Special! Unsolicited BookLocker Author Testimonials are HERE. UPDATED Print on Demand (POD) Price Comparison! SELF-PUBLISHING? – How Many Book Sales Needed to Recoup Your Investment? Victim of defunct Tate Publishing doesn’t want to pay Tate’s (unfair) $50 for her production files. Can she just use the files they sent her for approval before the book was published? Read more columns by Angela HERE. 2 Responses to "Can’t Get Your Book Files from Your Defunct Publisher? Here’s what you can do…"
Angela, for your thoroughness, for adding the additional links for further information.